From investors to central bankers, desperate market participants are all betting on a recovery from the near-Depression. 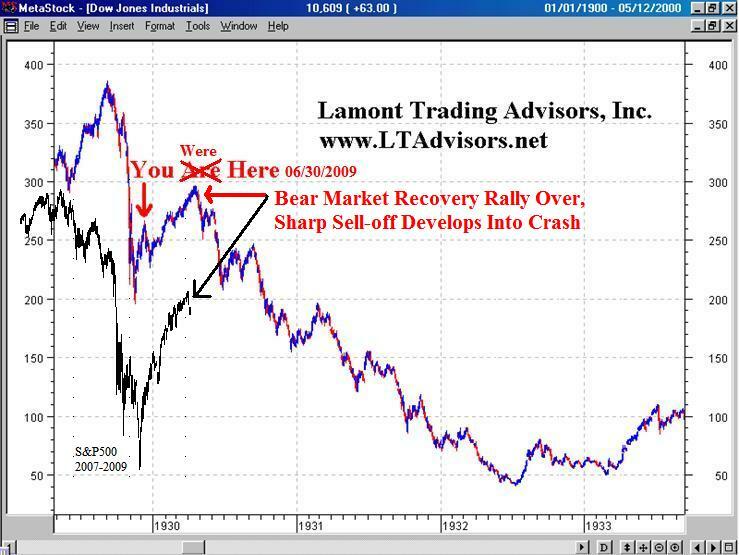 With the market selling off sharply from an exuberant secondary high, it appears history will unfortunately repeat. This is the tragic year where it will become obvious that a Depression is at hand. Back in April of 2007 and again in February of 2009, we alluded to these significant turning points in long term market expectations. Since this expectation cycle happens over a span of roughly 32-40 years, very few investors (if any) have experienced the full revolution. One must therefore learn from the past. 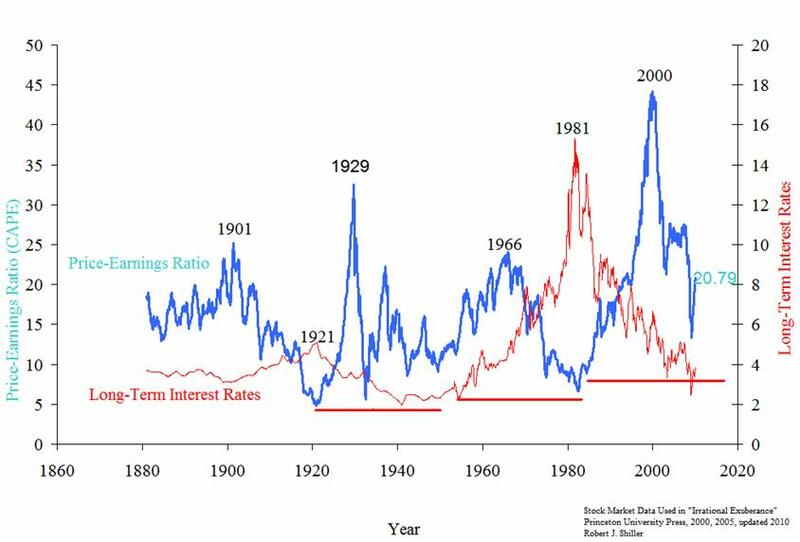 While we prefer the Q ratio, the cyclically adjusted price to earning ratio from Robert Shiller (shown below) accurately reflects the full cycle of stock market expectations. If the market “took investors to the clouds” in 1929, stockholders back in 2000 entered the ionosphere. It should be of no surprise that since that time investors have been continually disappointed. Historically, public interest must be driven from the stock market before valuations become truly cheap. This can happen in a multitude of ways, but we suspect it will be a combination of losses and lack of funds to invest. Most investors will finally become skeptical of the Wall Street selling machine like generations before. Only then will investors find real bargains in a sleepy stock market. At that point, high dividends (generally from 7-20%) will also allow retirees to ignore price fluctuations and earn a comfortable dividend throughout retirement. Just as a reminder, we expect the Dow Jones Industrial Average to be around the 3k level by 2012. “This talk of 17-year periods makes me think--incongruously, I admit--of 17-year locusts. What could a current brood of these critters, scheduled to take flight in 2016, expect to encounter? I see them entering a world in which the public is less euphoric about stocks than it is now. Naturally, investors will be feeling disappointment--but only because they started out expecting too much.” – Warren Buffett in Fortune, 1999. His record of performance was even more startling than his principles. Frequently his trusts had only a single large position, and that would be on the short side. (Nearly all other investment trusts forbid themselves ever to take a short position.) During these periods, of course, the profits showered down, month by month, and even day by day.” – Where Are the Customers’ Yachts? Or A Good Hard Look At Wall Street by Fred Schwed, Jr. 1940. For those who are not willing to short the market, we also protect principal with U.S. Treasury Bills, the purest form of cash. Our expectations are displayed in our updated Great Comparison Chart presented last June. 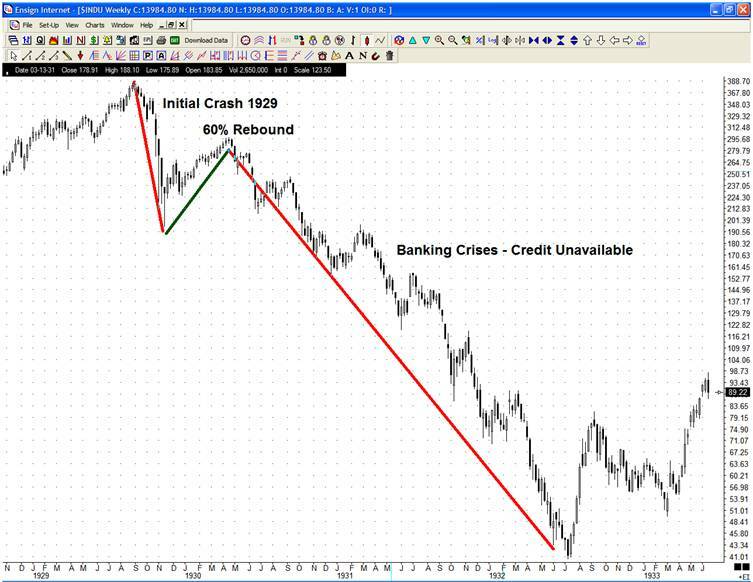 As the chart above states, we expect the sharp sell-off over the next few months to develop into a crash this summer. In the meantime, we expect the U.S. dollar to continue its uptrend. Things should heat up as European countries continue to experience tougher credit conditions. As expected, wild spending from politicians usher in the next wave of crisis. Losses in weaker countries will spread into the stronger nations through the global banking system. As detailed in Global Margin Call, individual investors who in the last few months were wiring their funds to far off lands have arrived just in time to experience maximum losses.